In December last year, Google teased the development of a VR-optimised OLED panel that will redefine the boundaries of VR viewing and will offer the highest pixel density in the market. It now appears that Google is ready to showcase its latest innovation at the SID 2018 event which is set to take place in May. 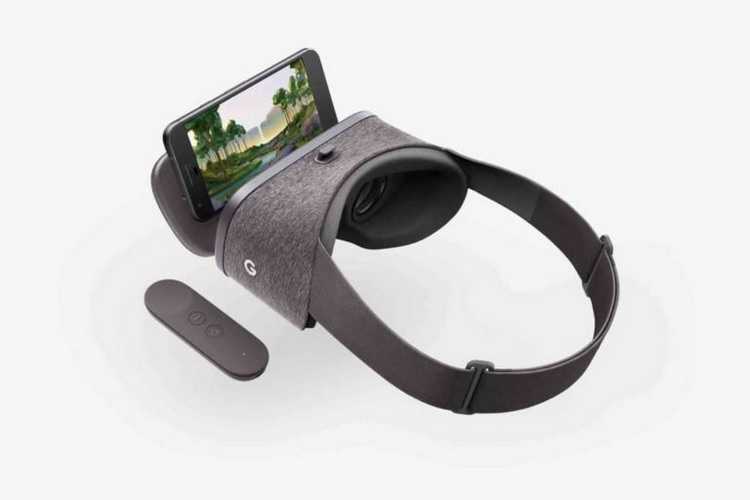 According to a report on OLED-Info, Google will demonstrate its ultra-high resolution 4.3-inch VR display with a refresh rate of 120Hz that will provide a super-smooth visual experience. The upcoming VR product from Google is touted to be the most pixel-dense VR display ever at 1,443 PPI and has been jointly developed in collaboration with a well-known name in the display industry. As for the end product itself, Google might use the VR display in the next-generation Daydream VR headset or might also introduce a new standalone VR headset. The high-resolution VR display was teased by Clay Bavor, Google’s VP of VR/AR, at the SID Display week last year, where he talked about the challenges of creating VR displays that can match the resolution of human eyes. “We’ve partnered deeply with one of the leading OLED manufacturers in the world to create a VR-capable OLED display with 10x more pixels than any commercially available VR display today. I’ve seen these in the lab, and it’s spectacular. It’s not even what we’re going to need in the final display, but it’s a very large step in the right direction.” he said at the event.